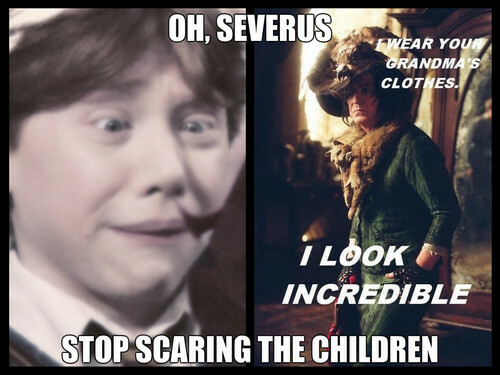 oh, severus stop scaring the cihldren. severus in yo grandma's clothes. HD Wallpaper and background images in the harry potter vs twilight club. This harry potter vs twilight fan art contains anime, komik, manga, and kartun. There might also be potret, headshot, and closeup.